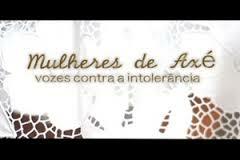 A preview of the documentary showcasing influential women of axé in Bahia. So, to begin our conversation, it’s good, before anything further, that we salute the elders. They served as an example for us when things were worse and Blacks couldn’t even walk freely in the streets. ,,, So let’s honor those elders, the eldest, three elderly women known in Bahia who brought Candomblé – three elderly African women, Iya Deta, Iya Kala & Iya Nasso, so we salute them!